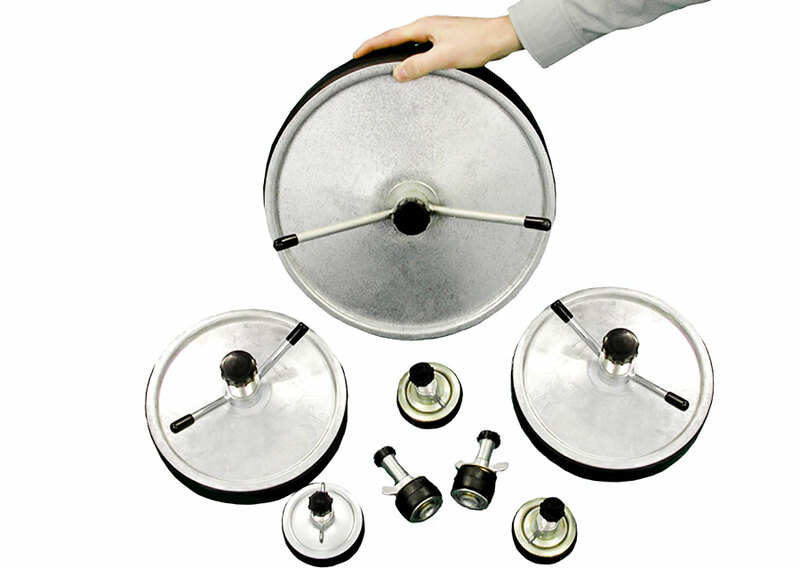 In addition to the ranges of Nylon and Aluminium plugs and Inflatable Stoppers, the HFT Pipestoppers® Division of Huntingdon Fusion Techniques HFT®, also manufactures a range of Steel plugs from 1.5" to 72" in diameter. These plugs are typically suitable for more arduous duties such as long immersion in water and use at higher temperatures or for contact with acidic or alkaline environments for which the Nylon and Aluminium plugs might be unsuitable. The plugs are merely inserted into the pipe and the wing nut tightened to force the top and bottom plates together, thereby expanding the rubber ring to seal tightly in the pipe. The patented Friction Free washer enables easy tightening of the wing nuts. The Steel Plugs are manufactured with 1/2", 1" & 2" outlets. 2" outlet for 20" and greater diameters. The standard seals are made from natural rubber although special rubber seals are available for applications which may need a greater chemical resistance and/or higher temperature tolerances. 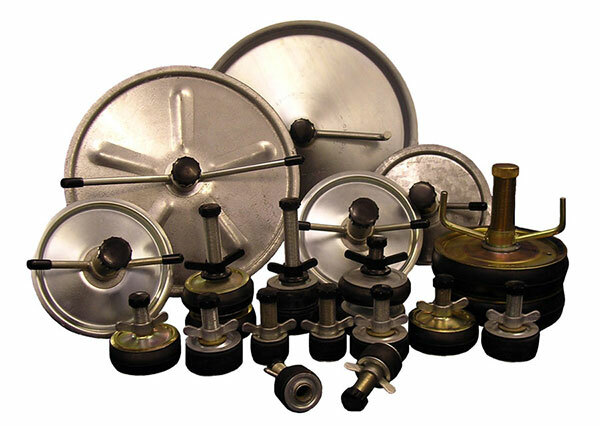 All plugs conform to British Standards BS 8005 for low pressure testing and sealing of pipes. In addition to the ranges of Nylon and Aluminium plugs and Inflatable Stoppers, the HFT Pipestoppers® Division of Huntingdon Fusion Techniques HFT®, also manufactures a range of Double Steel plugs for pressure testing and stopping all pipe work from 50mm (2") upwards. A double seal can be even more effective for more arduous duties such as long immersion in water and use at higher temperatures or for contact with acidic or alkaline environments for which the Nylon and Aluminium plugs might be unsuitable. The test pressure capability of the single stoppers is limited and the double versions increase that capability, while offering a greater stability in the pipe. As single plugs approach their pressure limits, they can tend to tip over like a butterfly valve. 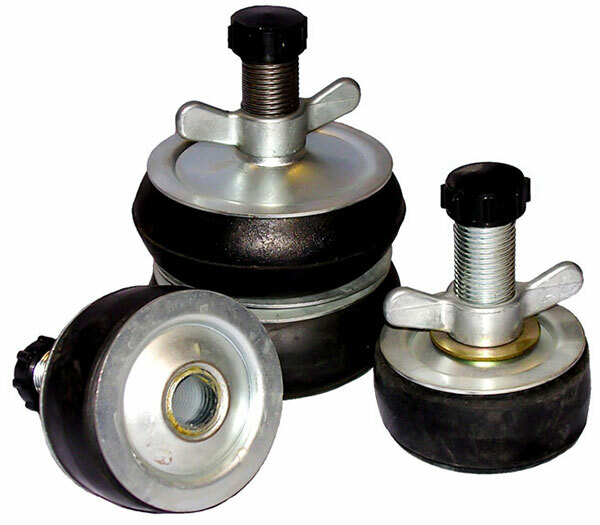 The double plugs will prevent the tipping and guarantee the seal. The Double Steel Plugs are manufactured with 1/2", 1" & 2" outlets. As with the other steel, nylon and aluminium plugs the natural rubber seals can be exchanged for Silicon, Viton, Nitrile or other chemically and temperature resistant rubbers. Double length plugs give greater stability in pipes and holes. The double length prevents them from tipping or "butterflying" and losing their seals. The double length seal give greater protection against the leakage of hazardous fluids or gasses. Some extra resistance against higher pressures is given, however like all plugs, they should be braced for safety purposes when gas pressure testing is employed.